THE USB CHARGING CABLE CONNECTS YOUR COSMIQ TO ANY STANDARD USB PORT FOR CHARGING. The nylon braiding is abrasion-resistant and the cable's anodized aluminum housings are designed to withstand long-term wear and tear. 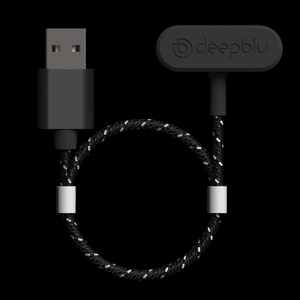 The magnetic connector makes it easy to connect to your wall charger, computer or power bank. Recharge COSMIQ anytime, anywhere.